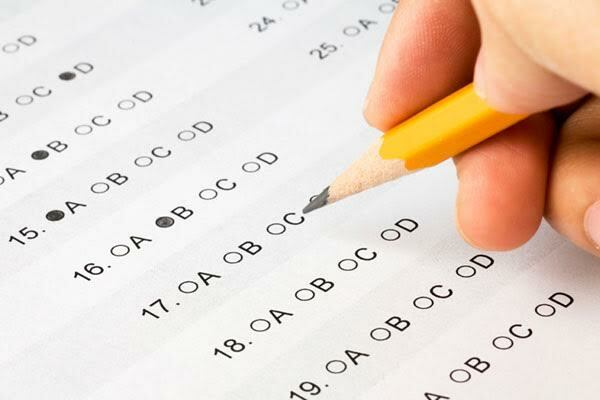 The names of the tests differ – Common Core in the United States, EQAO in Ontario, FSA in British Columbia, Provincial Achievement Testing in Alberta, and so on. Yet the similarities are well established. Across many jurisdictions, large investments in time and money are being made to assess the quality of public education in the areas of Reading, Writing and Mathematics. And the reactions of the teachers’ unions to this testing is the same across the board too. Universally, the teachers deplore standardized testing. Teachers oppose the idea of tests that focus only on the three R’s to the exclusion of all other subjects. With a limited scope of testing, a genius in science or in music would be identified in the standardized testing scores. A Mozart or an Einstein may appear to be just an ordinary student based on what these governments are testing for. Teachers also fear the loss of autonomy within the classroom. Some children learn at a different pace than other children, but a teacher must prepare the entire class to meet the test schedule. A teacher cannot slow down a lesson topic to reinforce the foundations of the curriculum when the standardized testing date is around the corner. The idea that the curriculum has become too focused on language and math skills – meaning that other subjects are receiving less time in school – isn’t really a problem. After all, our public school system already limits what studies are included within the curriculum, and some very important subjects are left out, or are optional in high school only. For example, when seeking employment, it’s very useful to know a skilled trade; or to understand money management; or to gain experience in computer programming. Yet none of these are mandatory subjects in public school. At one point, someone decided that knowing history, geography and art was more valuable to a young person than employment related skills. Time constraint concerns don’t hold any water either. Teachers have always had to maintain a certain pace of learning in order to complete the learning requirements for the grade level. To say that standardized testing impedes that schedule doesn’t seem right, especially when most testing is conducted at the end of the school term. And the idea that the results of standardized testing are over-emphasized by parents? Well aren’t these same teachers sending report cards home to parents that contain A’s and B’s and C’s and so on? Everyone seems to think these report cards mean something, especially to a high school graduate looking to get into college or university. So why shouldn’t standardized test scores be deemed important too? It’s important to remember that standardized testing is one of the very few ways parents and governments can assess the quality of public education we provide to our children. Test scores are used to revise curriculum and teaching methods. The results demonstrate how well children are doing compared to other schools, other provinces, and even other countries. Like all stakeholders, teachers have a responsibility to speak up when they can offer constructive feedback on improving the quality of the standardized testing. But it’s wrong to do as the BC Teachers Federation and the Elementary Teachers Federation of Ontario have done in the past, when they called on educators with children to withdraw their kids from the provincial tests. The efforts of the government to improve educational quality and accountability should be supported by the teachers. The reality is that we taxpayers spend so much on public education that we can’t afford not to have the highest quality of education possible. The teachers unions who are advocating for the end of standardized testing – predicated on flawed logic – are really doing more harm to the credibility of their profession than those educators who are working within the system to support the pursuit of excellence and accountability. It’s time that these unions recognize that standardized testing is here to stay, and put their energy towards improving the process.